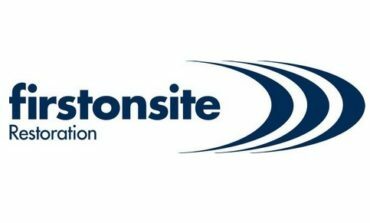 MISSISSAUGA, ON, Nov. 22, 2018/insPRESS/ – FirstOnSite Restoration, Canada’s leading independent disaster restoration services provider, has reinvigorated its leadership team in British Columbia with the addition of Kyle Sigouin as Business Operations Manager. Kyle joins Erik Hecht, Director of Operations, in strengthening the capacity to provide exceptional experience to customers in the region. Kyle Sigouin brings more than 16 years of restoration experience to his new role as Business Operations Manager. In this position, he will lead a team of Project Managers in the region, drive process and consistency to all areas of business, and help to grow the business regionally and nationally. An energetic and enthusiastic veteran, Kyle is well respected within the industry due to his commitment to building strong business relationships, developing teams and going above and beyond to achieve customer satisfaction. Kyle joins Erik who is responsible for overall operational execution across all FirstOnSite’s British Columbia locations. With more then 15 years in leadership roles and operational management, Erik has established a solid reputation with his teams, clients and end users throughout his career. Together, they will build upon FirstOnSite’s strong foundation in British Columbia.